awww.....this is just so BEAUTIFUL! i really like this scene. those two are just so perfect together. thanx for sharing this wonderful scan. in my mind this pic is the end of Sailor Moon... those two togheter, and what else?!?!?! 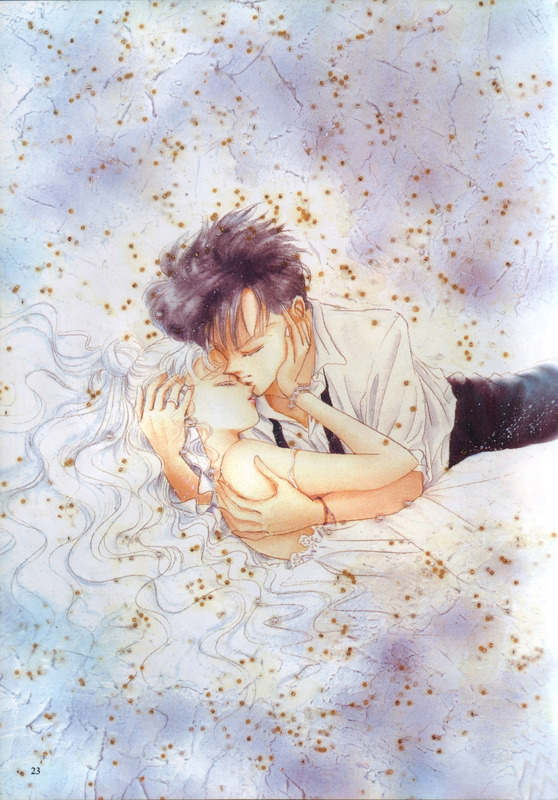 Every scan from the manga with Usagi and Mamoru is perfection. They look so good together! This is such a beautiful drawing of those two together. I really love this picture! Thanks! this is so friggin cute?